The Roman Emperor Trajan fought the Dacians from 101-102 C.E. and attacked their capital city, Sarmizegetusa. He successfully won the war, but a few years later, the Dacians were prepared to fight again. They had refortified the walls of their capital city, and in 105 the second Dacian war began (Salmon 93). The Dacians were capable, formidable enemies whose careful planning can be seen in the placement and structure of their capital city. Before the first Dacian War began, the Dacians were already making preparations for war, particularly “the removal of the Dacian capital from Porolissum to Sarmezegetusa” (Salmon 86). This was clearly a strategic change because “The latter site…was not exposed to an attack from the strengthened province of Pannonia” (Salmon 86). The fortified city was additionally located “on top of a 1,200 meter high mountain” and was “the core of the strategic defensive system in the Orastie Mountains…comprising six citadels” (Wikipedia Contributors). The location of the city made it highly defensible; however, the Dacians pushed security further by surrounding the city with stone walls and wooden defenses. 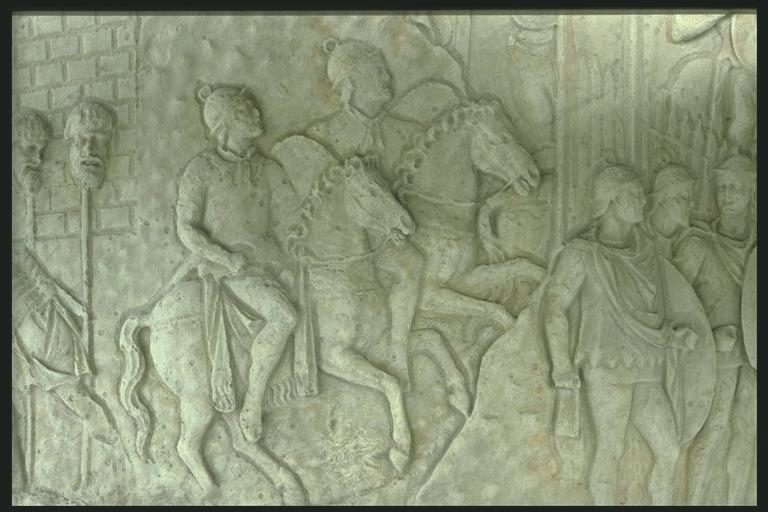 These elements can be seen in the Dacian towns depicted on Trajan’s column. Figure 1, “Assault on a Dacian Village,” shows both stone walls and sharp wooden fences defending a particular village (Rockwell). The sculptor also took care to include two distinct lines toward the center of the image which indicate that the village in hilly or mountainous (Rockwell). Unfortunately despite these fortifications, the villages, including the capital, “were seldom designed to offer sustained resitance” (Matyszak 223). By using seige tactics, inlcuding cutting off Dacian water supplies, the Romans were able to defeat the Dacians in both wars (Matyszak 223). During the first Dacian war they took the capital and left the Dacians to recover. During the second Dacian War, however, “Trajan took Sarmizegethusa [sic], and proved that he was in an unforgiving mood by leveling it to the ground” (Matyszak 223). Matyszak, Philip. The Enemies of Rome from Hannibal to Attila the Hun. London: Thames and Hudson Ltd., 2004. Print. Salmon, Edward Togo. “Trajan’s Conquest of Dacia.” Transactions and Proceedings of the American Philological Association , 67 (1936): 83-105. Web. Wikipedia contributors. “Sarmizegetusa Regia.” Wikipedia, The Free Encyclopedia. Wikipedia, The Free Encyclopedia, 5 Mar. 2012. Web. 9 Mar. 2012.